The Print Version of Touchdown! Happy New Year! 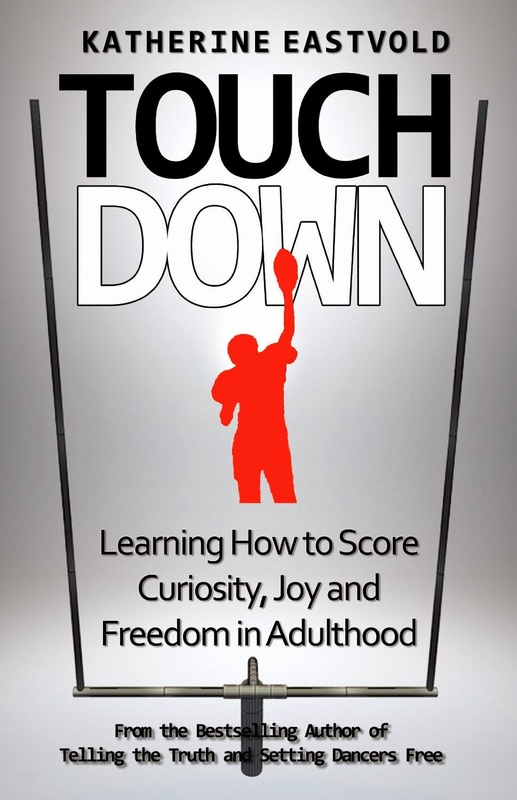 This is just a quick post to let you know that the print version of my new book, Touchdown: Learning How to Score Curiosity, Joy and Freedom in Adulthood, is now available in print! Click here to order your own copy today! The new year has been an eventful one for Nick and I. We have both scored major milestones in our careers and our personal lives. I am so thankful to be so happy and healthy these days. Perhaps one of the reasons is because we are hitting the road again - off to explore America again on a cross-country road trip. I have to say - nothing spells happiness for us like a good ol'-fashioned road trip. This time we get to hit all the states we haven't hit yet during our road travels. Flying is one thing. Teaching is another. But driving through a state teaches you more than you can imagine about it and its people. We may be the "United" States, but we are all very different states indeed. We always feel the difference, even when the states are so very close together, like New England.